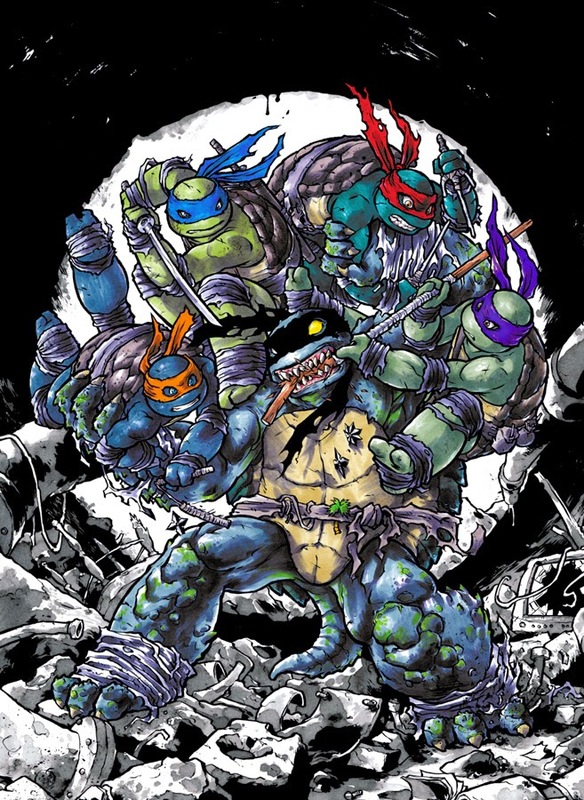 TMNT: Bebop & Rocksteady Destroy Everything! TMNT: Bebop & Rocksteady Hit the Road! Since continuity is starting to get confusing with the April Micro, should maybe IDW get the timeline treatment? I just realized yesterday that free comic book day will bring along the first issue of IDWs young readers' (Nickelodeon cartoon) version comic book. As much as I loved the '87 cartoon back then, from what I've seen of this new one I know I wouldn't have liked the teen soap opera style incarnation at all even as a kid). I do plan on reviewing those! Although I have a subscription box, my shop won't set any FCBD titles aside for me, so I'll be waiting in line bright and early tomorrow to get my copy of the FCBD TMNT book. I've been catching up on the Nick series so that I'm prepared for the continuity of this book, too. Only up through episode 9 so far, but it's a pretty decent show. This is exactly the spirit I was expecting. :) Keep up the good work, man! I wasn't so consistent regarding the Nick show, watched a few from the beginning and the last two or so. I may need to be more patient. I'm not really sure if I should post this here, so sorry in advance. Anyone know if there will be a 'the works 4' collecting stories that come after #47? was wondering if anyone could post an updated chronological timeline. new to the comics and starting from the beginning and trying to put in order is a bit confusing. thanks in advance.